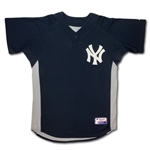 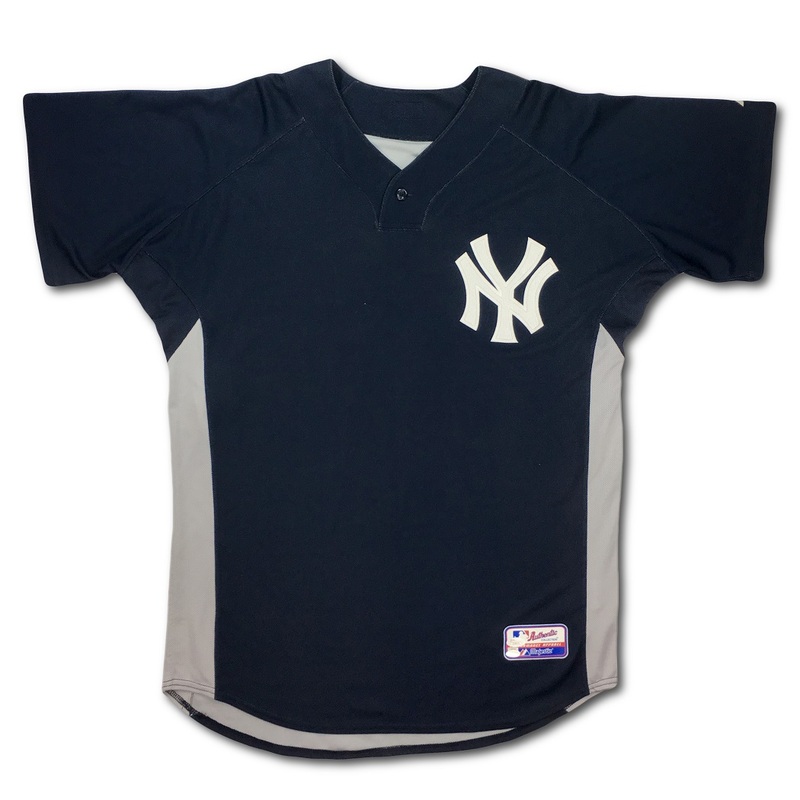 Presented is a New York Yankees batting practice jersey which was worn by Hall of Fame backstop Yogi Berra during spring training in 2007. 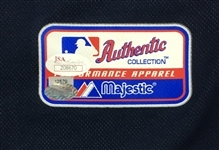 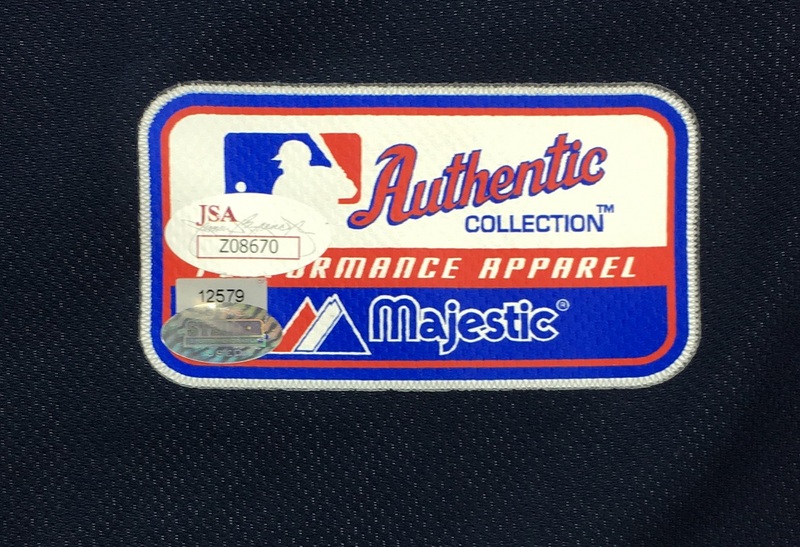 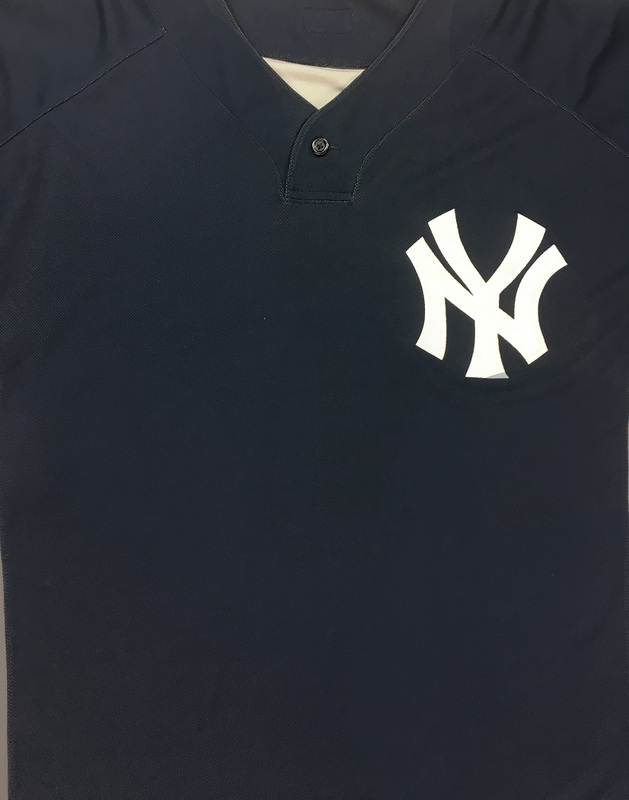 Majestic tag applied to tail with the Yankees iconic interlocking "NY" logo sewn to the left chest along with Berra's uniform number 8 screened to the reverse. 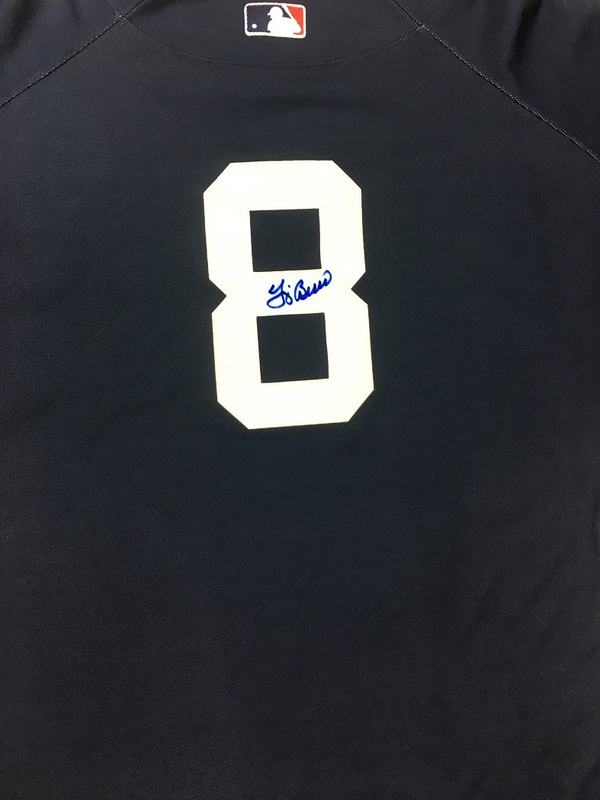 Yogi has also signed the reverse numeral in blue marker. 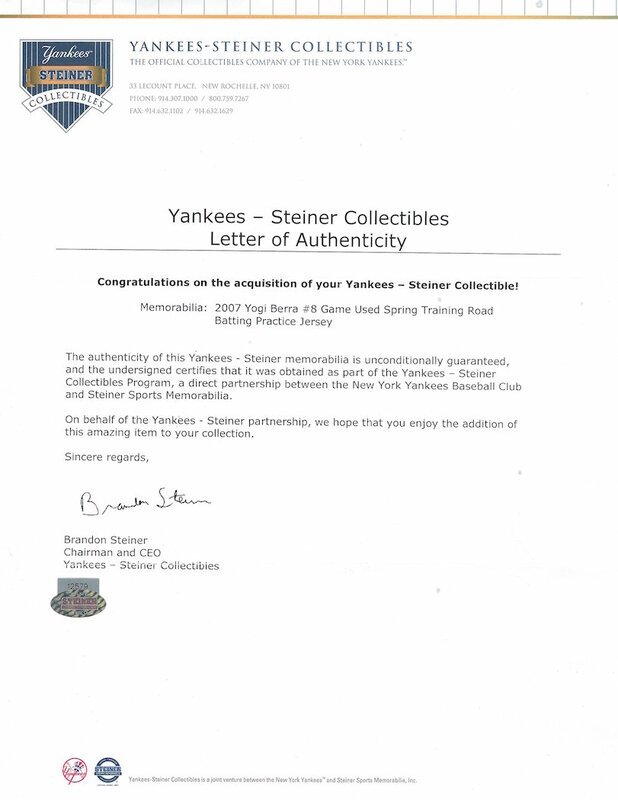 Steiner hologram/COA will also attend. 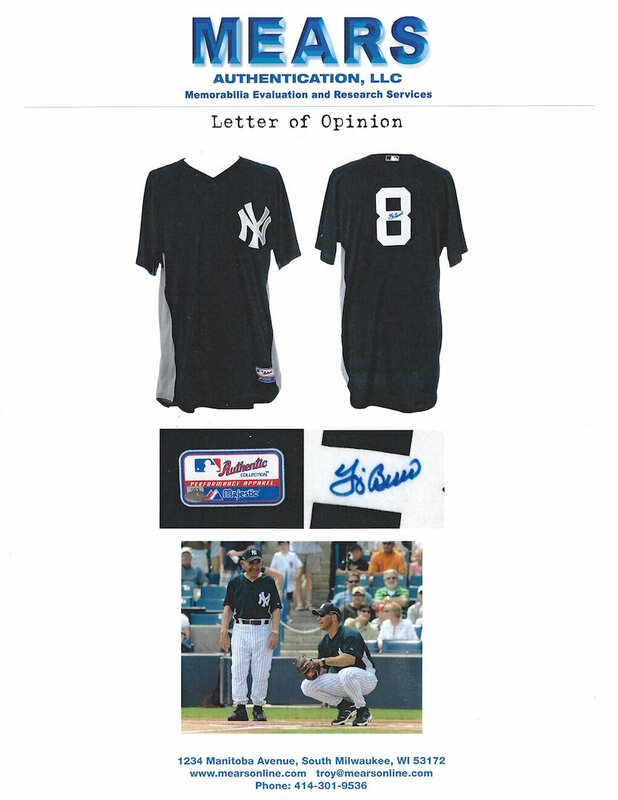 MEARS A10. 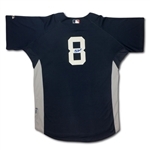 (97Y0381).